A guide to undertaking tertiary education in Australia to support students for whom English is an Additional Language (EAL), as well as international students in general. Adjusting to a new culture can be challenging. Adjusting to a new educational culture can be just as difficult. This short video introduces tips for making the most of your time in Australia by being prepared with some coping strategies. Australian English is similar to British and American English, however it is unique and there are differences. This short video provides a brief overview of Australian English, and provides advice on how to adjust. Higher education assessment methods differ between countries. Australian universities place emphasis on showing your ability, practical skills, and critical thinking. This short video introduces common assessment practices in Australia. 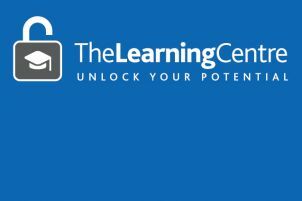 Visit the JCU Learning Centre website for further information about assessment types at JCU. The essay is a basic assessment tool used in many Australian university courses. Understanding the basics of essay writing is essential if you want to achieve satisfactory results. This video introduces methods of essay planning, and basic essay structure. See Essay Writing Basics for additional essay writing guidelines and support. Download our Editing guide (PDF, 285 KB) for valuable hints on how to successfully edit your own writing. Download our Proofreading guide (PDF, 290 KB) to help you focus on the detail of your writing: formatting, spelling, grammar and punctuation. Each specialist area of study has a unique set of writing styles and language. These are known as genre and discourse. This short video introduces these ideas. Build your academic vocabulary. Download Choosing the right word (PDF, 232 KB) for a list of frequently used academic words. Download our Building vocabulary guidelines (PDF, 261 KB) for help to expand your academic vocabulary using the Academic Word List (AWL). Learning vocabulary from the AWL will help you improve your comprehension of academic texts. It will also help you write assignments in an academic style. The Academic Phrasebank developed by The University of Manchester can assist you with your academic writing. It aims to provide you with examples of some of the phraseological "nuts and bolts" of writing organised according to the main sections of a research paper, e.g. describing methods, reporting results or discussing findings. Download our List of Reporting Verbs (PDF, 387 KB) to help you to use a variety of reporting verbs when referring to other people’s research in your writing. Download the English Prepositions List (PDF, 373 KB), a booklet by Josef Essberger which lists 150 English prepositions and provides examples of their use in context. You can also test your understanding of prepositions with quiz questions at the end of the booklet (answers are provided). The most effective way to plan for success is to prepare a study plan. This short video introduces this critical step. Visit the JCU Learning Centre's Getting Started guide for further information and to download our study planner templates. Answers to common questions about the English language, as well as help with grammar, idioms, and academic conventions. This resource includes a number of links to online courses, grammar sites, vocabulary activities, and help with specific tasks. Take free English language quizzes on grammar and writing topics, practice with real academic vocabulary, access read model essays on many academic topics, and listen to authentic English language programs. Work through fully interactive tests and educational games to improve your skills. There is no charge, but you do need to register to use this resource and your browser must accept cookies and have Flash Player installed. Once you are registered you can also keep track of your test scores over time. While the test itself is free, it is part of a commercial site so there are some optional extras that require payment. Learn writing and reading skills that will help you through your academic career. The JCU Learning Centre offers a range of support services for on-campus and off-campus students. Learning Advisors work with international students, and support students for whom English is an Additional Language (EAL). The Learning Centre also conducts workshops to assist with academic life.